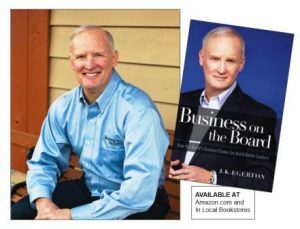 Business on the Board author Jim Egerton is a contributor to Dr. Jeff Magee’s Professional Performance 360 magazine on Leadership. 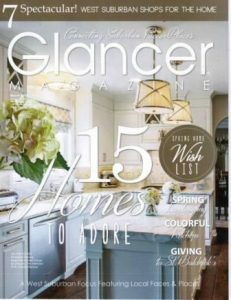 This magazine is read by hundreds of thousands of successful CEO’s, politicians, entertainers, and entrepreneurs who are the undisputed leaders in their field. See the link below for my article on How the World’s Greatest Game Can Build Better Leaders. 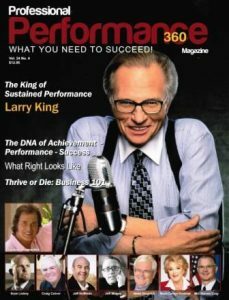 The King of Sustained Performance, Larry King is on the cover. Business on the Board author Jim Egerton is a contributor to Funnel Magazine in the category of Leadership. This magazine is for entrepreneurs who want to grow their business into millions using an effective funnel to find, attract, get & retain customers. See the links below for my articles on Transformational Leadership in the Opening and Situational Leadership in the Middlegame of chess and how they relate to business. 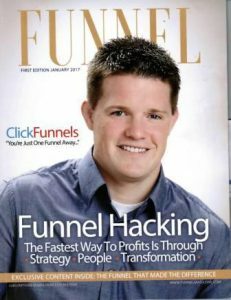 Russel Brunson of Click Funnels fame is on the cover. James Egerton MBA ’92 is listed in IIT Magazine. To see the Class Notes click: https://magazine.iit.edu/fall-2016/class-notes Under 1990’s. The My Best Move article reflects on two games I played which are now part of the online databases of well-played chess contests. The cover of Chess Life shows the late Grandmaster Viktor Korchnoi, deep in thought on how to transform his chess pieces into a winning team.